Before training as a Psychotherapist, I originally graduated with a BSc in Biology from Sussex University and after a small stint working for Greenpeace in Boston, USA, I spent the next 25 years as a programme/project manager, mainly in London and predominantly in financial services. In the later years I worked in the public sector including the Home Office and local government. I was inspired to become a psychotherapist following my own personal experiences of therapy during difficult times in my life. Through this I discovered the power of counselling and psychotherapy; how by talking to someone with no agenda, who does not judge, but instead listens and truly understands, a person can gain greater self-awareness and be empowered to make changes in their life. I work with a wide range of issues including bereavement and loss; low self-esteem and confidence; self-harm; identity issues; fertility issues; depression and anxiety; stress; relationship difficulties; and work-related issues. I also have a particular interest in working with people who have experienced sexual abuse; emotional abuse and trauma. I worked with Quetzal for 3 years from 2015, providing counselling to women who are recovering from the trauma of childhood sexual abuse. I also provided counselling for the Leicester Counselling Centre for 5 years until 2016. 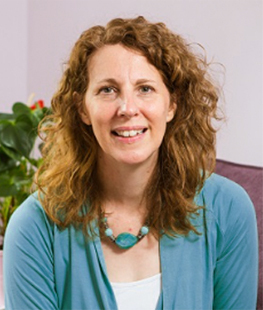 I have an MSc in Person-Centred Psychotherapy and Counselling from Sherwood Institute (University of Coventry) and continue to regularly attend training and clinical supervision. I have achieved level 1 training in AEDP (Accelerated Experiential Dynamic Psychotherapy). I am registered with the United Kingdom Council for Psychotherapy (UKCP), a Registered Member of the British Association of Counselling and Psychotherapy (BACP) and a member of the Sherwood Institute (SPTI). My practice is is regularly supervised and monitored according to the professional ethical standards of these organisations. I have been cleared by the Disclosure and Barring Service (DBS), I am registered with the Information Commissioner's Office (ICO) and I am fully insured for professional liability.